To request information for the committal of ashes from HMCS Sackville please contact either Padre Andrew Cooke, Chaplain of the Canadian Naval Memorial Trust, at 902-717-2275 (canon.cooke@outlook.com) or Mrs. Brenda Wallace, Administrative Assistant at the Formation Chaplain’s Office, CFB Halifax, at 902-721-8660 during normal working hours 0800-1600 Monday to Friday. 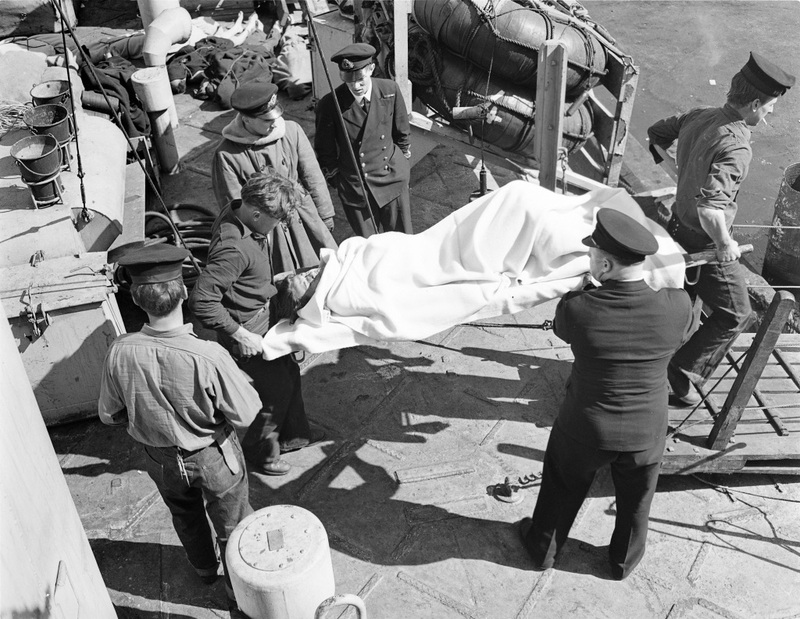 It is important to contact the above as soon as possible following the death of the one whose ashes are to be interred from HMCS Sackville so that the committal can be included in the next Battle of the Atlantic Committal Service. Also, it is requested that the ashes be in a container that will permit them to be removed and placed in a standard biodegradable, weighted, container at the Formation Chaplain’s Office (the original urn will be returned to the family, if requested, at the time of the service). The burial permit issued by the funeral home should accompany the ashes. It is important that a biographical account, especially of the individual’s navy/merchant navy/military service, and a copy of the obituary accompany the cremains when brought into, or sent to the Formation Chaplains’ Office. A contact person’s name, address, telephone number, e-mail address, is needed as well. 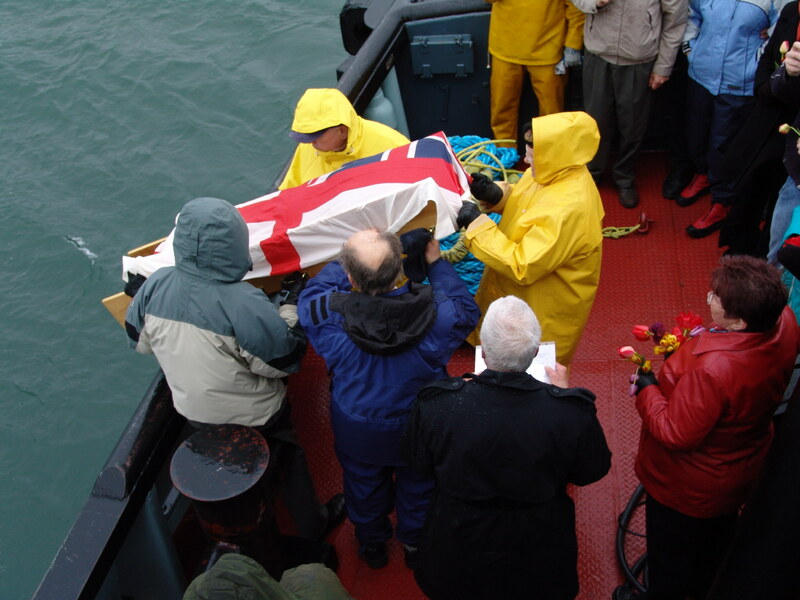 The Committal Service on board HMCS Sackville, the first Sunday in May, follows the Battle of Atlantic Service (the same service as used at the Point Pleasant Park Sailors’ Memorial). The Committal Service is brief and respectful, with ceremonial appropriate to a small warship of the Second World War. There is an opportunity for family members/friends to place bio-degradable floral tributes over the side when the ashes of a loved one are interred. Because this is a “public” service and not a private occasion, no part of the service will be changed or modified to suit personal wishes. While the ship is in transit to and from the services you are free to move about the ship. Usually light refreshments will be available during the return to Dockyard. A chart portion, showing the latitude and longitude of the interment site, will be provided to designated persons within a reasonable time after the event.